Ohmygoodness. Yes, it had to be said as one word. 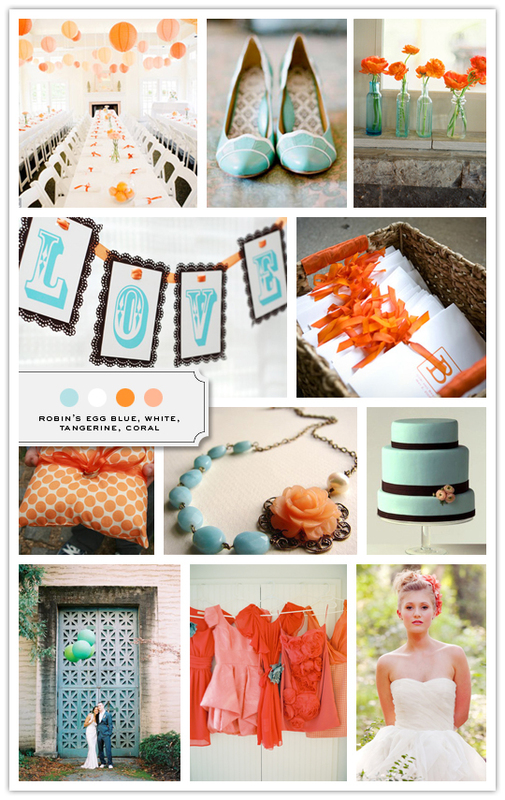 How amazing is this color palette from The Inspired Bride? I gasped when I saw it an had to share it with you all. Fall in love with the tangerine and robin's egg blue combinations :D They somehow resemblance the colors of coming Spring and Summer which is very happy and brightful!